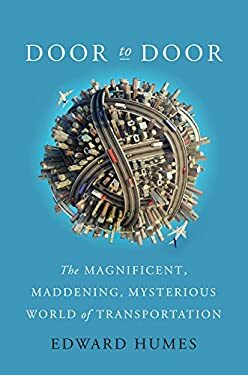 The Pulitzer Prize-winning journalist and author of Garbology explores the hidden and costly wonders of our buy-it-now, get-it-today world of transportation, revealing the surprising truths, mounting challenges, and logistical magic behind every trip we take and every click we make.Transportation dominates our daily existence. Thousands, even millions, of miles are embedded in everything we do and touch. We live in a door-to-door universe that works so well most Americans are scarcely aware of it. The grand ballet in which we move ourselves and our stuff is equivalent to building the Great Pyramid, the Hoover Dam, and the Empire State Building all in a day. Every day. And yet, in the one highly visible part of the transportation world the part we drive we suffer grinding commutes, a violent death every fifteen minutes, a dire injury every twelve seconds, and crumbling infrastructure.Now, the way we move ourselves and our stuff is on the brink of great change, as a new mobility revolution upends the car culture that, for better and worse, built modern America. This unfolding revolution will disrupt lives and global trade, transforming our commutes, our vehicles, our cities, our jobs, and every aspect of culture, commerce, and the environment. We are, quite literally, at a fork in the road, though whether it will lead us to Carmageddon or Carmaheaven has yet to be determined.Using interviews, data and deep exploration of the hidden world of ports, traffic control centers, and the research labs defining our transportation future, acclaimed journalist Edward Humes breaks down the complex movements of humans, goods, and machines as never before, from increasingly car-less citizens to the distance UPS goes to deliver a leopard-printed phone case. Tracking one day in the life of his family in Southern California, Humes uses their commutes, traffic jams, grocery stops, and online shopping excursions as a springboard to explore the paradoxes and challenges inherent in our system. He ultimately makes clear that transportation is one of the few big things we can change our personal choices do have a profound impact, and that fork in the road is coming up fast.Door to Door is a fascinating detective story, investigating the worldwide cast of supporting characters and technologies that have enabled us to move from here to there past, present, and future."